So all hell has broken loose in Brazil since the last time I made a blog post of Brazilian music. I’m not even going to touch it today – if you want to read about it English, there are some good sources out there (but mostly mediocre ones). Otherwise, poor yourself a glass of something – wine, whiskey, milk, the blood of the workers, orange juice, I don’t really care – and prepare to enjoy some great music. A long time ago, in a galaxy next door, I posted the first of these two Ataulfo Alves collections from the Revivendo label and, naturally, implied strongly that the second one would be soon to come. If you’ve been following this blog for a while you should know better than to believe such silver-tongued assurances. Like the fortune teller told me once, it is my destiny to let people down. This collection features so many different artists who recorded Ataulfo’s compositions that it becomes kind of impossible to properly present the disc without writing a post that would exceed the patience of most readers. The scant liner notes from Revivendo are kind of disappointing in that regard as well. Suffice it to say that all of the artists collected here have their own squares in the quilt of Brazil’s “Golden Age” of samba. I like these Ataulfo collections so much that I’ve included several tracks in various podcasts over the years: in fact, two on this disc (the Carmen Miranda and Jorge Veiga cuts) appeared on my first ever genre-specific podcast from February, dedicated to samba. I’ll just single out a couple below that tickle my eardrums. The wonderful Odete Amaral performs the carnival hit “Ironia.” Odete put in a lot of time on sessions as a backup singer, appearing on many great recordings by Francisco Alves and Mario Reis and others from the Golden Age. She married Ciro Monteiro, who also appears on this collection more than once. 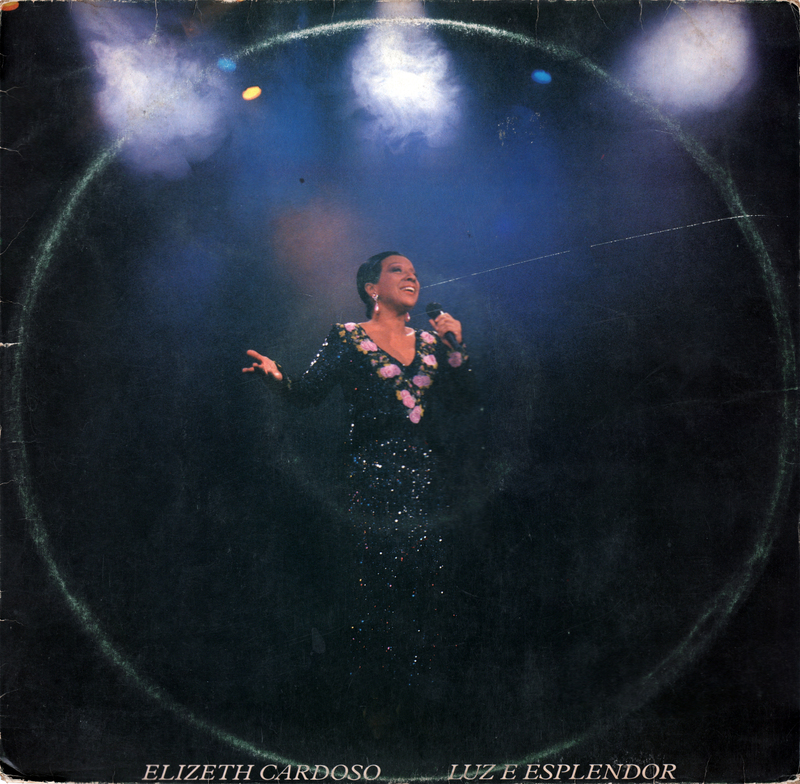 Thirty years after this recording, incidentally, she would appear on the historic “Fala, Mangueira” album alongside Nelson Cavaquinho, Cartola, and Clementina de Jesus. Many of Ataulfo’s compositions show a strong influence of choro or chorinho, like Infidelidade sung by Déo. Is that Pixinguinha and Abel Ferreira I hear playing? Strains of that inspiration are heard on a great deal of the instrumental ornamentation woven throughout this material like filigree. Listen to the flute flourishes dancing around Aracy de Almeida singing “Eu Não Sou Daquí” and Nelson Gonçalves on “Sinto-me Bem.” Later on, Déo is featured again and gets downright jazzy as he croons over some punchy blasts of horns that wouldn’t sound out of place on a big band record. The popularity of Latin dance band styles like mambo is evident throughout this collection as well. My first exposure to Nora Ney was an early 70s record for which Vinicius de Moraes wrote the liner notes. At the time, not being familiar with her classic material, I was left indifferent. The track “Vai, vai mesmo” from 1958 has a wicked kind of edge to it, a deliciously cool “get out of my life” break-up tune. It was also a carnival hit. Also, it has a tuba bass line. I mentioned in the post for the first volume how Ataulfo is that rare specimen for the era who was both a composer widely-recorded by the top singers of the day, and a first-class performer of his own material at the same time with a successful singing career. He shares that accomplishment with Noel Rosa and some others, but the trajectory of composers like Ismael Silva or Cartola, who came back as performers in another subsequent wave of music, seems to be more common. The disc winds down with a marchinha sung by Carlos Galhardo, “Arraste O Pé, Moçada”, and a grand finale from Orlando Silva in “Errei, Erramos” (1938), arranged by Radamés Gnattali, in which Silva seems to be channeling Carmen Miranda in his phrasing. Oh, I almost forgot to mention: the Carmen song featured here, “É um que a gente tem” (1941), is one of the songs she recorded to respond to her critics that lambasted her after her return from living and working in the US. They accused her of having become Americanized, her concert appearances were panned, and she quickly turned around and went back to the US to stay, but not before recording a handful of killer sambas fighting back at her attackers. The most of famous of these had the rather forthright title of “Disseram que eu voltei americanizada” (They said I came back Americanized). The Odeon sat on this recording here and didn’t release it until the scandal had passed, when they were scraping the vault for any more Carmen material. Not a bad song here, folks. Compilations like this one represent the best that the Revivendo label have to offer, so listen up. A new atomic era of podcasts dedicated to particular styles and genre of music is being kicked off with a spontaneous homage to the endless wellspring of musical energy known as samba. I hope you enjoy it, and with any luck I’ll make more of these. Saravá!I’ll provide direct links for MP3 and FLAC downloads for your convenience in the next 12 hours. In the meantime here it is streaming on Mixcloud. Francisco Alves – Ai, Ai Que Pena!